Posted On September 05, 2016 by Team iCynosure. I’m an avid online shopper, without any doubts. I browse through a zillion products on e-commerce portals and yet fail to find a product unique enough to engage with my design sensibilities. At best I’d come across a product that is different from those offered by hundreds of online retailers in a particular way. However, my thirst for unique pieces remained unquenched until I found Qtrove. 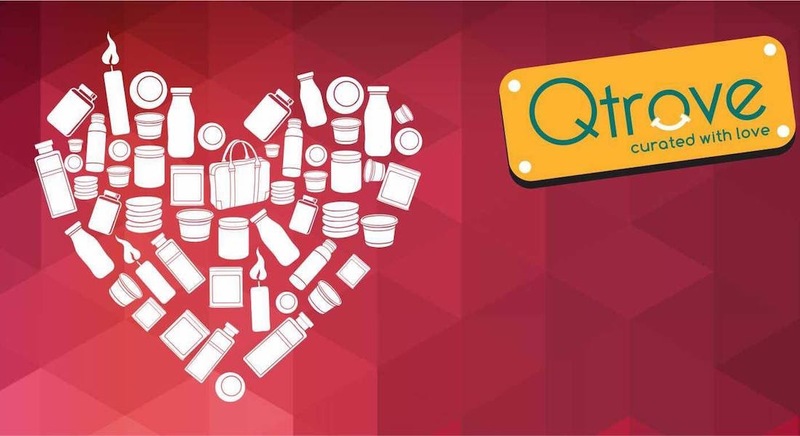 Qtrove that looked like a regular online portal, on closer inspection turned into a treasure trove of hand-picked painstakingly unique gorgeously curated products from handpicked vendors. 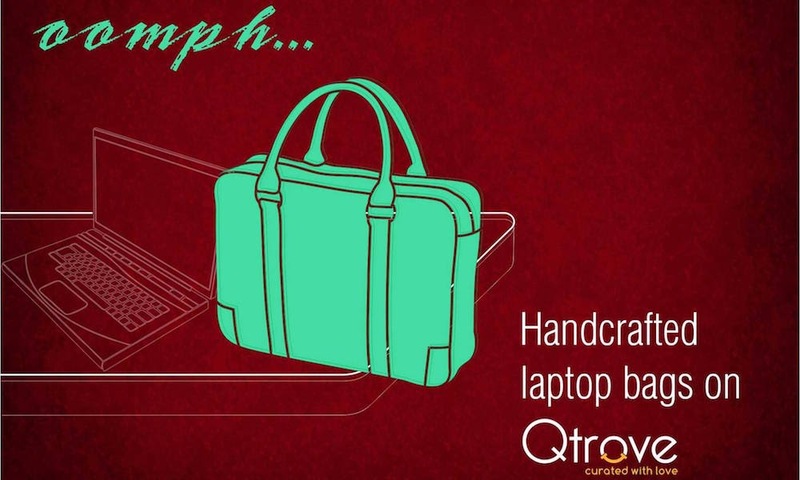 With a niche range of handmade and sustainable products, Qtrove ensures customers don’t end up with the same mundane stuff available anywhere else. While browsing through the portal, I was amazed at the products from the brand Clovve. Summed up in a few words by the designer duo Minal and Arpit, their luxury designer brand Clovve is a flavorful spice that adds richness to any dish. 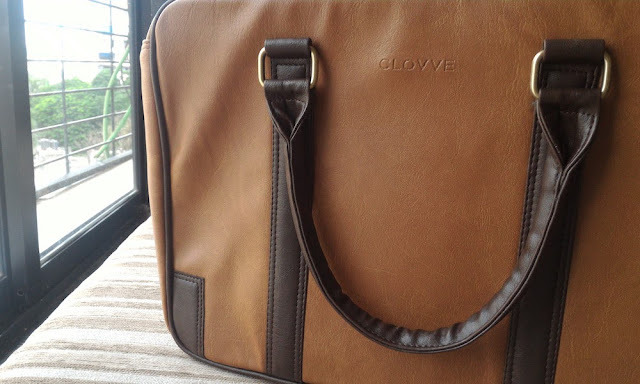 Clovve offer style, uniqueness, and functionality in all its designs of travel and cosmetic pouches, laptop bags, everything perfect for travelling. With less than 100 pieces of each product manufactured, it truly makes it unique to own one. 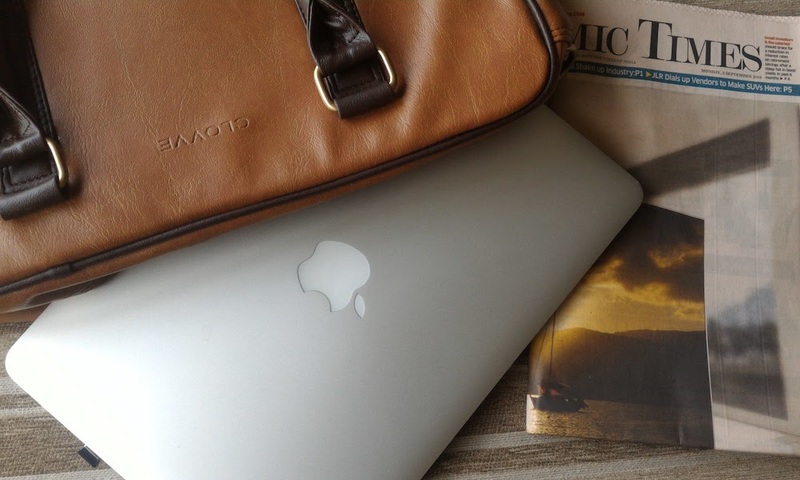 I instantly fell for the rich and classy tan laptop bag that can be used as a work bag too. A minimal design crafted in finest faux leather with a smart detachable cotton strap and antique finish fitting the bag is an instant winner that will definitely grab some eyeballs. I instantly placed an order and received it within three working days. The price tag is definitely great for the quality it assures and the design is perfect. My shopping experience has been great with the website however the only glitch that I faced in the entire experience was at delivery. The packaging of the product was disappointing. When I received the bag, the packaging was with no bubble wrap or protection bag, also there was no dust bag or odour sachet, the product was directly packed into a courier bag which could have easily damaged the product, which thankfully didn’t happen. But this concern needs to be addressed by the packaging department. Having said that, the product is exactly as described on the website, the quality and finish is at par with international brands and is sturdy and efficient. I’m pretty pleased with my purchase and cannot wait to flaunt it soon.